The footbridge that connects the east and west banks of the Rock River is one of my favorite places. 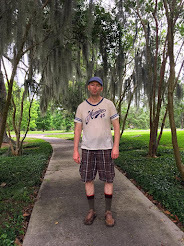 In the summer I often see the poet Jesus Correa there. We live on different sides of the river. Nothing about that statement is metaphorical in any way. 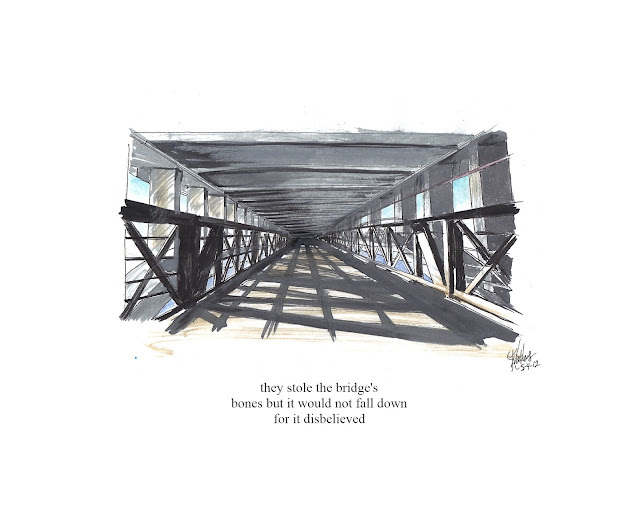 Here's a poem I wrote after I saw him riding a skateboard over the river. 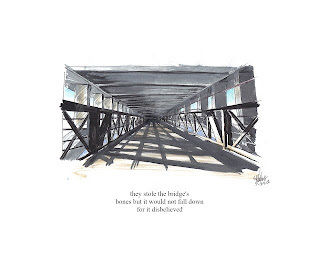 And this is Jenny Mathew's drawing of the foot bridge over the Rock River with a haiku I wrote about the bridge.